Lightly sweetened and delightfully creamy, this Sweet Corn Margarita is the stuff of summer dreams. So let’s raise a glass and pledge to drag out summer as long as we can! This past weekend my mom and I hopped in the car, snacks in hand, and made our way to Minneapolis to visit my sister. There’s no doubt we took advantage of the long weekend by eating, shopping, and drinking our way through the exciting Midwest city. We only scratched the surface of what Minneapolis has to offer, but we made a pretty good effort at hitting some of the hottest spots. We started off the weekend by enjoying a boat ride in my sister and brother-in-law’s new 70’s speed boat. It’s amazingly retro with red highlights—after seeing this I’ll never buy a boat new. The next morning we found ourselves at Lake of the Isles for a long walk before stopping by Spyhouse for some delicious lavender lattes. Later in the day we had lunch at The Bachelor Farmer Cafe and enjoyed some incredible cocktails at the popular Tattersall Distilling before making our way to Young Joni for dinner. And that wasn’t even all of it. I’m not exaggerating when I say we ate and drank our way through Minneapolis. It was definitely a packed weekend, but it was relaxing, fun, and filled with easy conversations. Amidst the recent feelings of discomfort, stress, and unknowns, it was exactly what I needed to reset and regain energy to head back to work and into the upcoming season (but not for a while, because I’m holding onto summer as long as possible). 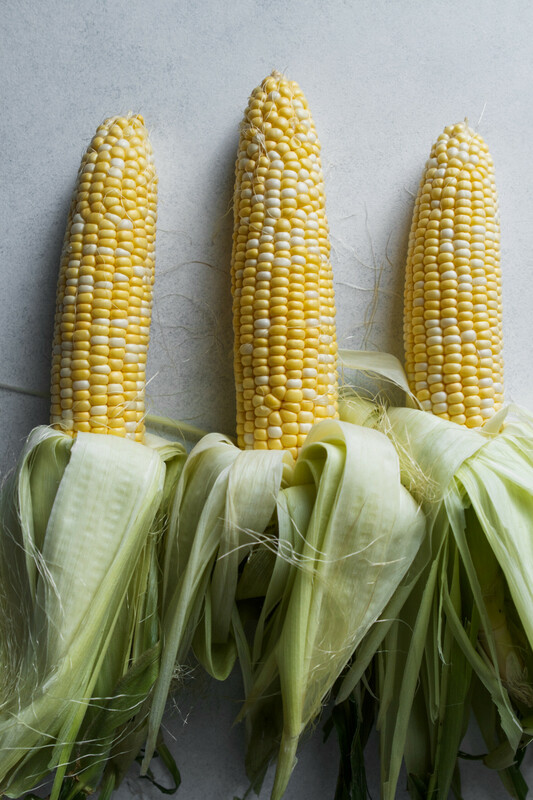 Speaking of summer, there’s no better time to make the most of sweet corn than the waning days of the season. Around here, sweet corn stands pop up about mid July and stick around through August and most of September. And in these parts, we’ve got some darn good sweet corn. I’ve been eating way more sweet corn than anyone probably should, but this is the time to overindulge, right? At least that’s how I’m validating it. Anyway, one can only eat so many ears of corn before they start to imagine the veggie possibilities, and I’m not talking about maque choux, chowder, or elotes. The obvious consideration is a cocktail…duh? 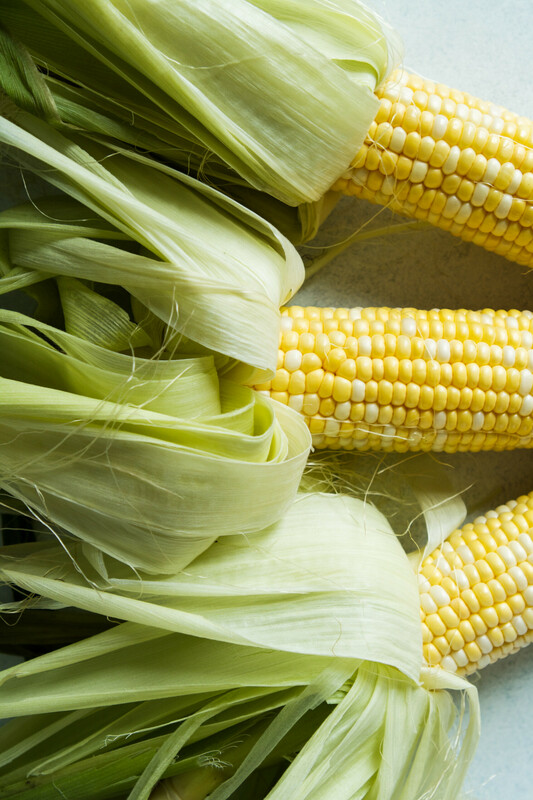 Sweet corn isn’t overly “juicy,” so it doesn’t have a hit-you-over-the-head corn flavor. But what sweet corn is packed with is starch, which lends a lovely creaminess to this margarita. It almost reminds me of a pisco. This Sweet Corn Margarita is surprising, fun, and incredibly seasonal, so it’s a win in my book. Have a great Sweet Corn Margarita-filled weekend, cheers! Place Chili Margarita Salt in a shallow dish. Dip a rocks glass in water then dip into salt to coat; fill glass with ice. Muddle corn, agave, and cilantro to a cocktail shaker until corn starts to release liquid, about 2 minutes. Add tequila and lime juice, fill with ice, secure lid, and shake vigorously until thoroughly chilled. Strain margarita into glass and garnish with cilantro, serve. This is such a fun drink- what a creative idea! I love corn in all of its forms, but I’ve never heard of this drink! I absolutely must try it! So my husband and I LOVE all margaritas and this one sounds delicious! Definitely going to make this one!! Kristine! You two are my kind of people 🙂 I hope you enjoy it! This sounds interesting! My husband is a marg lover so I’ll have to show him this recipe. Girl, I am making these today!! 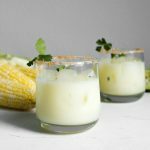 Sweet corn margaritas? I haven’t heard of that before but it sounds amazing! I can’t wait to try these! Thanks Christina! They’re pretty fun! Wow I’ve never heard of a corn margarita!! How cool! You make it look very tempting. I’m sure it has a unique taste. Your pictures are beautiful! Hi Becca, it definitely is a bit different than most, thank you! How interesting! And it looks incredibly thirst quenching. I might also substitute the lime with lime essential oil for a big pop of flavour. I’ll have to give this a try some time, thank you! Heather, that’s such a great idea! I’d love to know how it turns out with essential oils! Such a pretty looking drink. Shane I’ve just cut corn from my diet, although corn season is still a few months off here in New Zealand. Maybe by then I could try one. It sounds so intriguing. Wow, I love sweet corn but I can’t say I ever imagined it in a cocktail. Oddly enough, this sounds delicious! Summer is coming to an end, but I think I’m gonna have to give this a try! Sounds like my kinda drink. I’m gonna try it at my next party ! Wow, this is completely new to me. I had never thought of including corn in something like a margarita. Interesting idea! This is something I have never come across, totally unheard of, I wonder how it tastes. I am intrigued, will definitely give it a try. Thanks Renuka, I hope you like it! OMG, these sound delicious! I will definitely be trying these out myself! I LOVE sweet corn so this is a definite must try for me!! I also think your photographs are amazing!! I love shooting food, it makes you feel so accomplished! Thanks for this drink idea I’ll definitely be making it soon! Kelly, thank you! You’re so kind, I hope you enjoy it! Oh my!! I have never heard of using sweet corn in a drink but wow that sounds delicious. Totally pinning! Thanks Emily! It’s definitely a favorite in our house!